"Black on Maroon is a large unframed oil painting on a horizontally orientated rectangular canvas. The base color of the painting is a deep maroon. 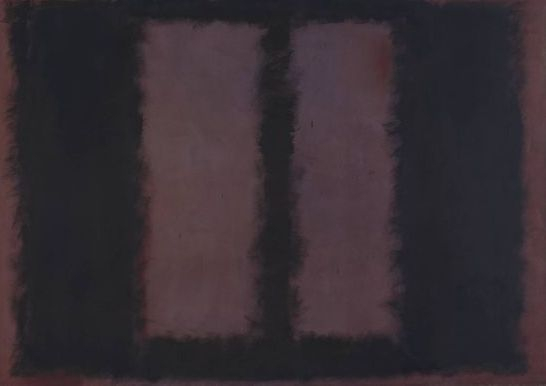 As is suggested by the work's title, this is overlaid with a large black rectangle, which in turn encloses two slimmer, vertical maroon rectangles, suggesting a window-like structure. The black paint forms a solid block of colour but the edges are feathered, blurring into the areas of maroon. Different pigments have been used within the maroon, blending the color from a deep vine to a muted mauve with accents of red. This changing tone gives a sense of depth in an otherwise abstract composition. " This article was written by Jane Qiu and originally published in the science magazine 'Nature' in connection with the exhibition "Rothko: the Late Series", Tate Modern, London, 26 September 2008 – 1 February 2009. 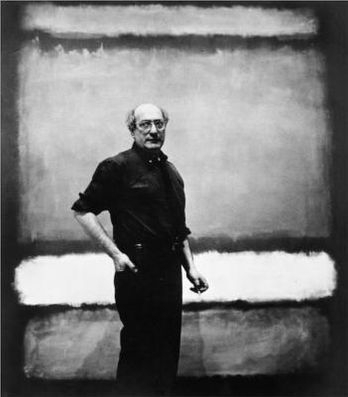 Mark Rothko's Seagram murals, commissioned in 1958 to decorate the Four Seasons restaurant in the Seagram Building in New York, are famous for their layers of translucent and opaque paints that produce a luminous and ephemeral quality. Rothko was notoriously secretive about his methods, refusing to let even his studio assistants watch him paint. Yet the clues he left within the murals have informed conservators of the variety of materials he used and his layering techniques that were innovative for the time. Conservators at the Tate Modern have studied the murals using cutting-edge techniques in collaboration with researchers at MOLAB, an Italian organization that provides technical support to European conservation projects. 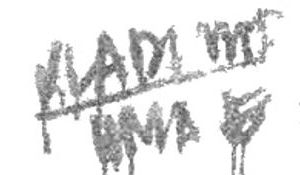 They investigated the chemistry of microgram samples of paint using mass spectrometry, and probed the structure of layers with high-resolution electron microscopy. Ultraviolet images reveal Rothko's brush work, each layer made from a unique medium that fluoresces differently. Their research shows that Rothko used materials far beyond the conventional range sold for artists, modifying the properties of oil paints to achieve the flow, drying time and colours he needed. He used synthetic substances such as oil-modified alkyd and acrylic resins alongside traditional materials, including egg, glue and dammar resin, which are fast-drying and allowed him to apply subsequent layers within hours. 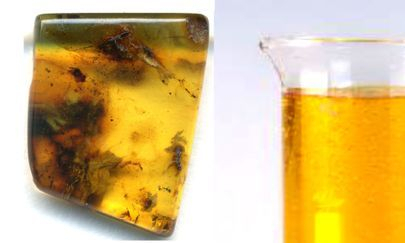 Resins increased the viscosity of the mixtures so the paints could be diluted without losing their coherence. Rothko also applied phenol formaldehyde to prevent layers from blending into one another. Each mural differs with regard to its paint mixture or the layering sequence, suggesting that Rothko constantly experimented. in many of his late paintings. The paintings are fragile, prone to damage by handling, and various components in the layers may react and age differently. Rothko chose not to apply varnish, which would have destroyed his subtle effects of gloss and matt variation, and he did not want to exhibit his creations framed behind glass. Knowledge of the materials present in the murals will help conservators develop bespoke techniques to protect them for future generations. all the way through to the canvas. Jane Qiu is a writer based in Beijing and London. "To see what everybody is seeing, but to think what nobody is thinking"
Specialising in science, technology and China-related issues.